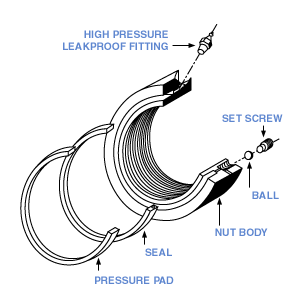 #1800 fitting High pressure grease fitting rated over 10,000 psi. 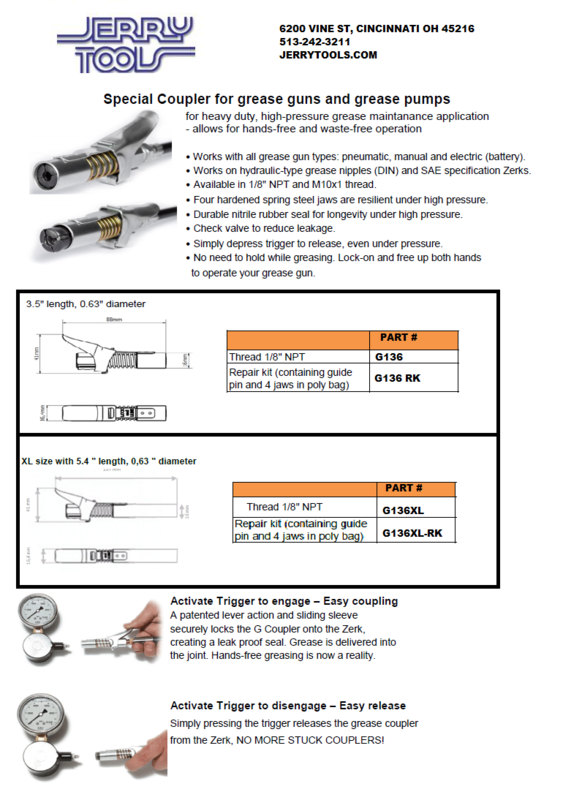 #1900 fitting High pressure, heavy duty fitting rated over 10,000 psi. 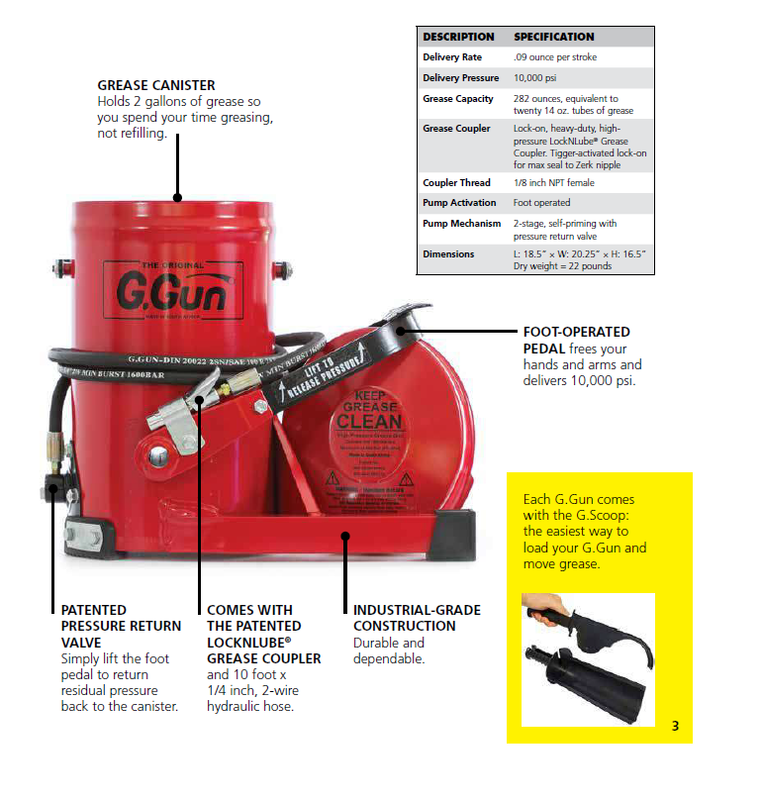 Grease Gun High pressure grease gun rated for over 10,000 psi. Grease Gun W/ Gage High pressure grease gun rated for over 10,000 psi. With added gage assembly for consistent pressure. Coupler This coupler is made specific for the best fit between the grease gun and grease fittings. 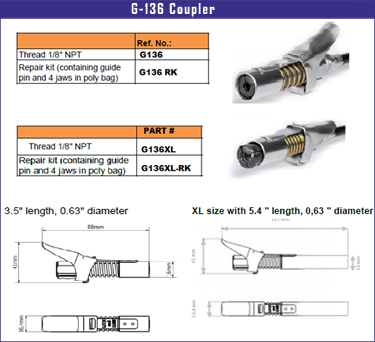 G-136 Coupler This coupler is a lever activated coupler for easy install and release. 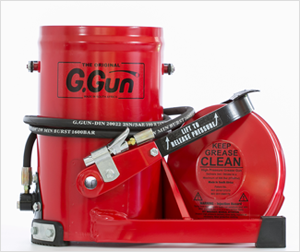 G-Gun grease pump High pressure, high capacity grease pump rated at 10,000 psi.